Dec 28, 2016: Will these adaptors work for my needs with a PC Monitor? Mar 07, 2017: HDMI to display port switches. Sep 19, 2017: Is it possible to connect raspberry pi to VGA monitor? 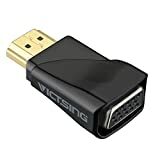 Dec 19, 2018: Please help me get 240p 120Hz working. Jan 30, 2019: Anyone ever try using AV inputs as poor man’s Car Play?